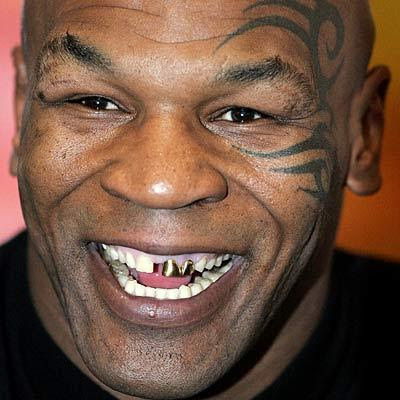 Mike Tyson is one of the greatest and most controversial heavyweight boxers in the world and the youngest boxer ever to win the WBC, WBA and IBF world heavyweight titles. 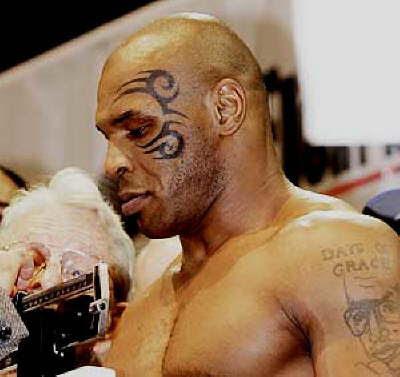 Mike Tyson has 6 tattoos at last count, including his infamous tribal style facial tattoo on the left side of face, stretching from his temple to his cheek. The tattoo designs on his left arm include, the face of tennis great Arthur Ashe with the words "Days Of Grace". 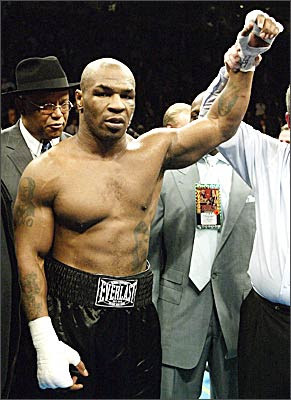 On the inside of his left forearm is a tattoo of his second wife "Monica Turner". The tattoos on his right arm include, a portrait of Chinese revolutionary and Communist leader "Mao Tse-tung" with his name "MAO". 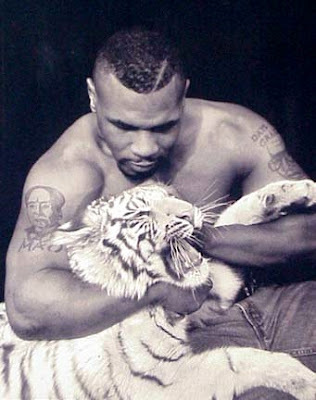 Mike also has a rather large dragon on his right forearm, which was his very first tattoo design. 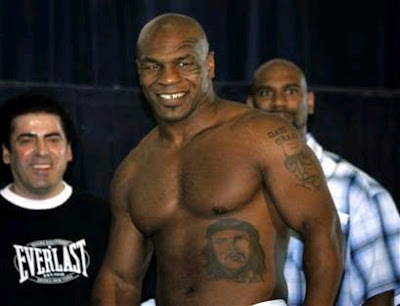 Last but not least, he has a tattoo of the Argentine revolutionary guerrilla leader, "Che Guevara" on the left side of his abdomen. 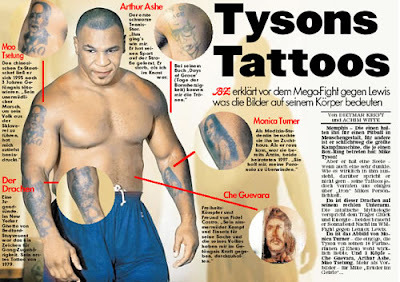 Checkout these pictures of boxing great Mike Tyson and his tattoos.